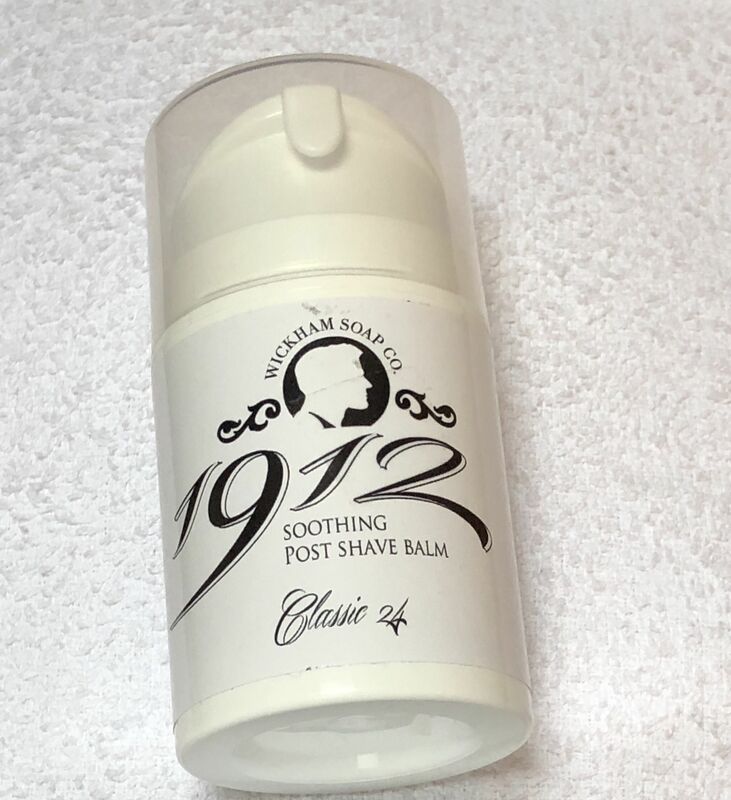 After the good experience with the Wickham Shaving Soaps I purchased recently, I thought I would try out one of their post shave balms, and I am so glad I did. From past experience of other balms I have used, these can sometimes be difficult to work into the skin, leaving a noticeable almost greasy/shining look to the skin, and also not much lasting scent. You only need around half a fingertip of the Wickham balm, and I rubbed it between the fingers on both hands and then over my face where I had shaved. My face immediately felt soothed and refreshed and still felt like this for hours after. Also, the scent is absolutely out of this world. I would buy an aftershave that smelt like this in a heartbeat. On the subject of scent, I shaved at 7:30 am and my partner said she could still smell it on me at around 6pm, I have never had such a long lasting smell from any balm I had used previously. From what I have seen mentioned about the scent of Classic 24, it is supposedly to be a dead ringer for Creed Aventus, although I cannot say if it is as I don't have this particular fragrance. The balm worked into my skin very easily, and left my face lovely and soft, and refreshed and soothed after the shave, and without the greasy, shiny look that some other balms can leave. I think I will be sticking to Wickham for my balms from now on, as I will be with shaving soap to. I have got to the point now, where I am finding shaving products that are am extremely happy with, and when I get things like this, I tend to stick with them. Well done @Fox (Darron) and all the team for the outstanding products you all make, British Artisan products at their very best in my opinion.